Unintended attacks involving man's best friend can have lasting effects on the victim due to the nature of the accident itself and from the resulting injuries. The psychological trauma associated with being violently attacked by a dog can be just as serious as the resulting injuries that can range from puncture wounds and cuts to lacerations, muscle and nerve damage. In the most extreme cases, victims may require several complicated procedures such as facial reconstruction surgery. The province of Ontario has enacted the Dog Owner's Liability Act which was designed to ensure that dog owners know what their responsibilities are and that victims of dog attacks have legal recourse in the event of an injury to person or property. However, this legislation is set up in a way where the homeowner's insurance company would be liable to pay any damages to the victim, yet the legislation is unclear what recourse is available in certain circumstances such as when the dog owner is a renter. The expert legal team at EBIL Personal Injury Lawyer has the experience necessary when it comes to recovering maximum compensation for dog bite victims and thoroughly investigates the facts and circumstances surrounding each case. 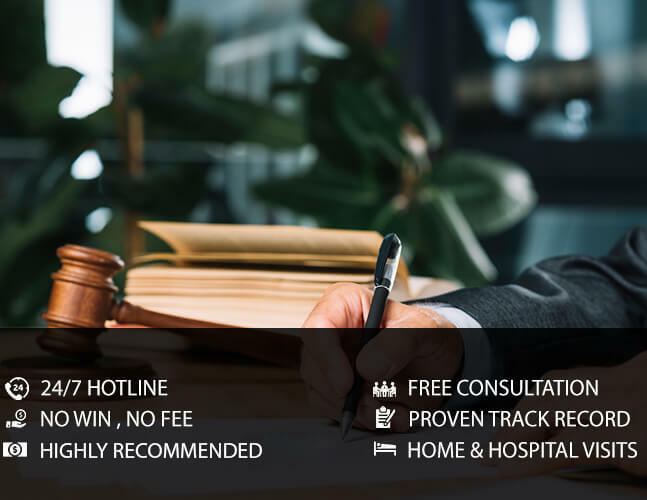 Our legal experts have accumulated years of experience when it comes to successfully navigating the claim process as it applies to dog bites and dog attacks. We have assisted many dog attack victims from all over the province and can get you the medical treatment and the compensation that you are entitled to by law. If you or someone you know became the victim of a dog attack, contact EBIL Personal Injury Lawyer as soon as possible for a free consultation and we will ensure that you know what your rights and entitlements are, what we can do for you as a firm as well as provide you with valuable information and advice. Call us today and protect your rights.